Item is in stock and will be shipped the next business day. Delivery time within D with DHL (PO) between 24 and 48 hours. Original Lava: For all products and machine-brands! 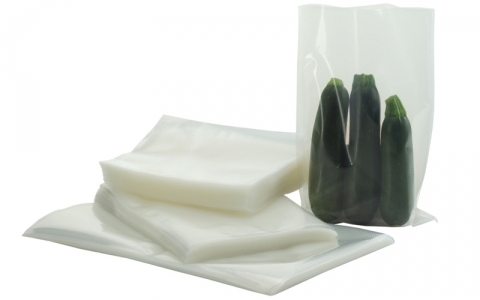 Lava Premium vacuum bags - for your products the very best! Do not be fooled by cheap products! Vacuum bags are sensitive products, which are directly associated with food and for some years! You can trust the original lava-bags in the premium quality 100% food safe and 100% free of plasticizers and pollutants, supported by ongoing monitoring and data sheets. 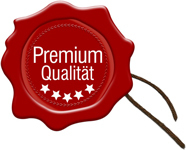 Lava quality films are produced exclusively for Lava in Switzerland, which guarantees the best quality at the highest level of production. By the way, the lava quality films conform fully with all brands of vacuum sealer! These 20 x 50 cm structured / textured vacuum sealer bags can be delivered in many different sizes and they are perfect for your Lava and garanteed also for any other vacuum sealer model in the market. Note: Please note the width of your welding of your vacuum device! 100 % free of softeners, Lava guarantees best quality! Dishwasher-safe and therefore reusable many times! Lava recommends using a vacuum device always with Lava original vacuum-foils, they are ideally designed for your vacuum sealer and guarantee a long life of your products. To see prices without VAT, create an account and log-in. On this page we have listed the various payment methods. We distinguish between orders from Germany and abroad. Please note the minimum order value of 30 euro. You pay as an existing customer from Germany with an invoice within 8 days of receipt of goods and transfer the price to the bank account. The goods, which are permanently stored will be shipped within 24 hours by DHL on weekdays. Pay conveniently and securely via credit card over the Lava encrypted SSL connection. Your advantage: the goods, which are permanently stored will be shipped within 24 hours by DHL on weekdays. Pay for your goods on delivery by DHL. Payment is in cash or partly covered by EC-card. The additional costs for COD: € 6,- Fees + € 2,- confiscation fee. The goods, which are permanently stored will be shipped within 24 hours by DHL on weekdays. After your order you will receive an order confirmation sent by Lava in which the bank data can be found. Please transfer the total amount to the bank account (must be the order number, order date and your name appear on the transfer). The goods, which are permanently stored will be shipped within 24 hours by DHL on weekdays. All prices inclusive 19% VAT. Mon to Fri from 8 am 17 clock using the following phone number 07581-48959-0. Lava - The quality product 100% satisfaction or you get your money back - no risk shopping with 1 month right of withdrawal from the delivery date. More information about this in the terms of services. Redeem now in the shop!